To me the ultimate example of this slow-start-to-a-great-series phenomenon is Bill Willingham’s Fables. 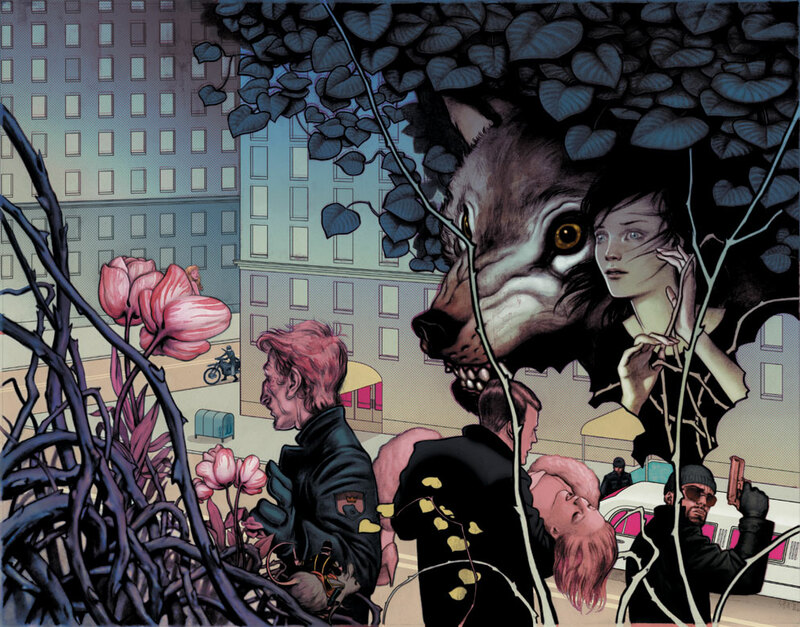 A lot of folks tried the first few issues of Fables 10 years ago and were a bit disappointed by the Vertigo-proclaimed heir apparent to Sandman. But a lot more folks got hooked and continued to read it to this very day. Currently the series is celebrating it’s 10th Anniversary with 118 issues published collected into 16 trades. There have been two spin-off series, Jack of Fables and now Fairest, plus a stand alone short story collection 1001 Nights of Snowfall and even a prose novel Peter and Max. After all of that material, I still get excited every single month to read Fables. I would like you to enjoy this series that tells the on-going saga of the famous characters from Legend and Fairy-tale (Snow White, The Big Bad Wolf, The North Wind, Pinocchio, Ozma and countless others) existing in our Mundane (Mundy) world. The problem for hesitant readers has been the first two story lines collected in Legends in Exile and Animal Farm. These two stories told in the cliche ridden forms of a murder mystery and a Spy thriller do not work as well as one might hope. So, I am suggesting you set aside your strong completest sense (all of us comic readers have it) and pick up the Third Fables trade Storybook Love. It was these issues that hooked me for life and I believe it will do the the same to you. The storytelling, art and characterization are confident. The story literally jumps off the page. the world of Willingham’s creation becomes fully formed and believable. From that point on, he was off to the races with no end in sight. So do yourself a favor, break with tradition and read the third trade Storybook Love first. You will continue to read on and on and I am confident that Fables will become one of your monthly must-reads. Remember: you can always go back and read the first two once you’ve gotten involved. Note: Although i really enjoy the current storyline, I do not recommend Fairest as an optimal starting point for new readers. The tone of this first story is humorous and a bit self-reverential–much like the wise-guy first person narration in Jack of Fables. This conceit works well for the story Willingham is telling within Fairest’s pages, but I do not think this tone works well as a proper introduction to a series like Fables that successfully tells many different tales in many different ways. Try Storybook Love— it is really enjoyable and you will be chomping on the bit for more. Filed Under: DISCUSS, Where Do I Start?